Properties That Sell Between $1.4M and $1.5M in San Francisco! These days, it is not unusual to have first time buyers who are approved up to $1.5M – these are buyers who will typically need at least $300,000 down to buy a property! No wonder San Francisco is considered such a hard market to get into. While almost anywhere else in the country this would buy you a mansion – not quite the case in San Francisco. What can between $1.4M and $1.5M buy you and where? I reviewed sales throughout SF in the last six months for homes and condos which sold between $1.4M and $1.5M. As one might guess, you are more likely to find a single family home in this range in areas that are outside of the north end of the city like the Outer Richmond, Sunset, Merced Heights, and the Excelsior. Yet, there were some homes which sold closer to the $1.5M price in Glen Park and Bernal Heights, popular neighborhoods in the south side of the city. Many were 3 bedroom and there were even some 4 and 5 bedroom homes. They sold for an amount 18% over the asking price on average, with some selling for as high as 46% over the asking price. Of course, a home selling 46% over the asking price has been priced way below its value. This can be frustrating for buyers (and agents alike) since it creates optimism in buyers to own a home they really can’t afford. In this price range, most of the homes are not updated but there are some smaller homes that have been nicely remodeled. 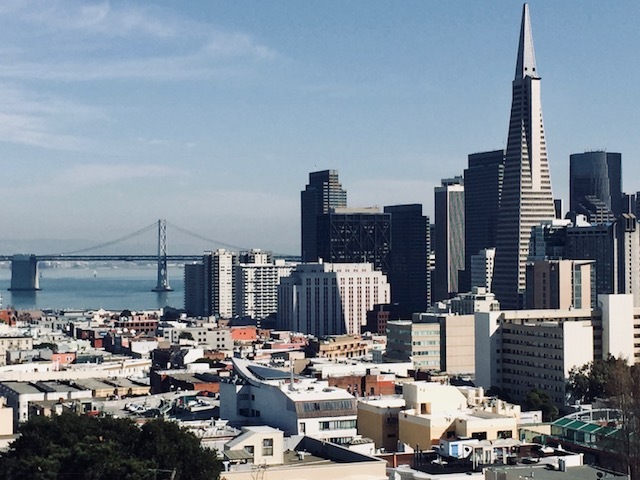 Since condos are priced lower than homes generally, not surprisingly, condos in this price range were found in more popular neighborhoods like Pacific Heights, Noe Valley, Eureka Valley, the Inner Mission and Hayes Valley. Most of the condos were 2 bedroom and a few were 3 bedroom. Condos sold for an amount 6% over the asking price on average, with some selling for as high as 35% over the asking price. In this price range, you will find many more condos that have been tastefully remodeled than you would with homes. Only eighty-two homes and sixty-seven condos sold in SF in the last six months in this price range. With pent-up buyer demand and still quite low inventory, it is wise to come prepared to put your best offer forward. Here are some tips from an article I wrote in December of 2013. These tips still apply today! If you are a buyer looking in this price range, I’d be happy to help! Previous: SF Real Estate Market Comes On Strong in the New Year! Next: Coming Soon to the Market!